When considering incorporating aquatic therapy into a new or existing facility, the design of that space is always a primary concern, especially when the available footprint is limited. Placement, functionality, accessibility and many other considerations come into play while developing the space’s design. 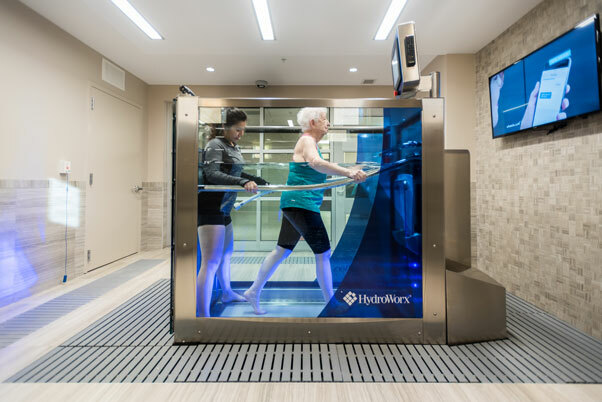 In this webinar, Steve Leone, Principal of the Spiezle Architectural Group and Jordan Strohl, Administrator of the Actors Fund Home, will discuss how they were able to collaborate to design an aquatic therapy unit into a unique space. Jordan will share why he felt it was important to include aquatic therapy as an offering for their residents as well as a marketing tool. Steve and Jordan will describe the collaboration process and how they were collectively able to come up with creative and innovative design solutions. Steve will discuss how they were able to highlight the aquatic therapy unit as a primary focus of the rehabilitation department and the strategies used to hide accessory equipment in order to give the unit a sleek, built-in look. He will illustrate some of the more unique aspects of the design including creating a flush entrance with consideration for things such as recessing and draining the unit while providing a safe exterior surface. Along with collaboration on design, Jordan will share how the new unit has been used since by their community for inpatient and outpatient rehab and wellness.